Ben Curtis is best known for winning the 2003 British Open. 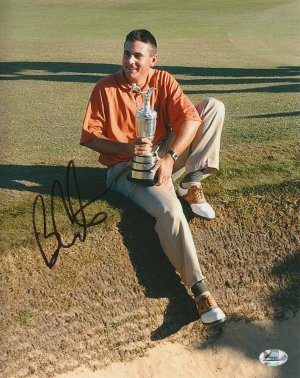 Ben Curtis has hand autographed Golf 8x10 Photo. FI Hologram and Certificate of Authenticity from Athlon Sports.